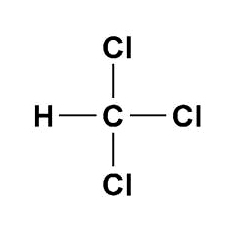 Chloroform (CHCl3, Trichloromethane), a halogenated hydrocarbon, is a volatile, colourless and sweet-smelling liquid. It is extensively as a solvent in Dye, and as an anesthetic in many medical applications. The chemical is highly non-flammable, with boiling point, 61.3°C, and thus is used as a fire fighting Agent. These are also used in perfume manufacturing and pharmaceutical industry. CHCl3 also finds usage as Fluorocarbon Refrigerants and Resins. We are one of the eminent trader and wholesaler of laboratory chemicals, which are highly appreciated for their quality and effectiveness. Apart from this, we also deal in the trading of a variety of sophistical scientific equipment.